This project is training a core group of students (the Watch Committee) to monitor the internet and social media and respond promptly and accurately to attacks on Zionism, Jewish values, and the Jewish community. To date, the project has recruited 22 students, who attended four training conferences which prepared them to identify and respond to anti-Semitic and anti-Israel propaganda. Three conferences extended from Friday through Sunday, and the fourth was a one-day conference. The training was implemented by historians, political scientists, philosophers, editors, media consultants, and Jewish community leaders. Sessions are video-taped and available to students who join the project at a later stage. The content of the training conferences included: (1) Anti-Semitism and Anti-Zionism (including the roots, history, psychology, and methods); (2) The Jewish People and Israel (including basic principles of Jewish identity; Jewish History; The History of Zionism; Israeli Society; and Peace, Security, The Israeli-Arab Conflict, and Diplomacy in the Middle East); and (3) Technical Tools (how to scan the internet, and compose responses). 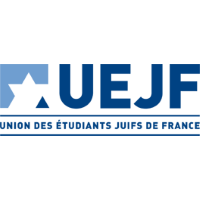 The aim is to train students to scan social networks and internet websites and blogs (with priority given to social networks); to respond IMMEDIATELY to anti-Semitism and anti-Zionism; and to compose factually correct and credible responses. The work is carried out for 24 hours daily, every day of the year. A Committee of Experts (comprised of 18 members) guides and supervises students, and assures that responses are accurate and adequate. A Coordinator is available to students during each of the daily shifts. Students direct their questions and draft responses to the Coordinator, who forwards them to the appropriate expert. If an expert is not immediately available, the Coordinator turns to another expert who can provide the student with an immediate response. The Coordinator participates in monthly meetings with experts and the UEJF President, to continuously review and evaluate the project; transmits feedback from these meetings to students on the Watch Committee; and incorporates this feedback into the supervision provided to the students. Monthly Training Conferences with members of the Watch Committee facilitate sharing and learning from experience. The project has established a website which revolves around 4 topics: (1) identifying anti-Semitism and anti-Zionism; (2) responding; (3) understanding the relationship between current events, the Diaspora, and Israel; (4) acquiring tools necessary to promote and defend Israel. The website is comprised of lectures by experts; “live chats” with lecturers; links to lectures on other websites; articles; and interviews with active proponents of Zionism and Jewish values. The project also publishes a monthly newsletter. The Pincus Fund for Jewish Education is dedicated to supporting Jewish institutions in training the next generation of Jewish leaders. Projects such as this, training and guiding young Jewish students in Jewish values and Zionism, while giving them the tools to defend against anti-Semitism, are vital to the Jewish community.